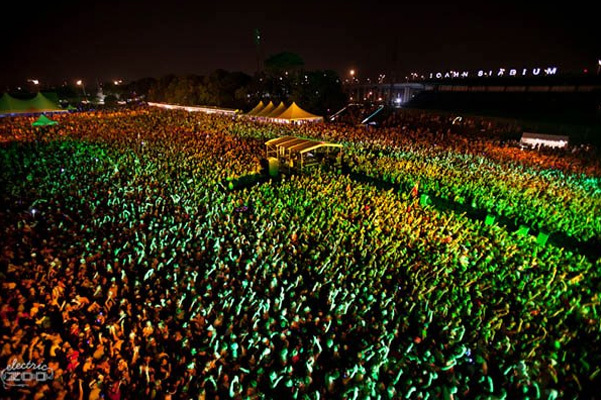 Electric Zoo, New York’s Labor Day weekend EDM festival, released an official trailer today. The festival is held at Randall’s Island Park August 31 through September 2 and features an extensive lineup including David Guetta, Pretty Lights, Above & Beyond, Ferry Corsten, Axwell, Steve Aoki, Benny Benassi, Tiesto, Skrillex, Excision and so many more. Labor Day weekend will also see a few other festivals across the country including North Coast Music Festival in Chicago and the just announced first annual Isla Del Sol Fest in South Padre Island. Next story Photo Gallery: Porter Robinson at Granada Theater in Dallas, Tex.